Joerg Colberg recently published a piece on Conscientious entitled "Why does it always have to be about something?" In his piece, he argues that making projects that are "about" something has become - for some – a way to get away with making mediocre images. He makes a call for photographs that make us "hungry" to see them and adds at the end, "And let's also accept work more openly again that is not playing along the lines of standard aboutness. It really doesn't always have to be a project." It's hard to disagree with those thoughts. Who wants to look at lazy mediocre photography that uses "ideas" to cover for visual weaknesses in a photograph, or to place a veneer over the limited abilities and knowledge on the part of the photographer? Why not demand great photographs? And who wants to be the stuffy artiste that mandates that photography must be made in projects for it to be "good" or serious work? There are, however, some points I'd like to add. First let's talk about the different faculties we bring to the table when we look at photographs and how they might affect how we understand mediocrity in photography, then we can turn to the idea of "mediocre" images, how an idea like mediocrity reflects a specific time and place, as well as the context photographs are viewed in, and finally I'll throw in a general defense of the project for good measure. When we look at photographs we see a lot of stuff that's there, on the surface, but we also "see" things that are not physically there. When we look at the surface and observe line, color, saturation, composition, tonality and the rest, we might feel excited by their specific qualities or not, feel drawn to look longer or feel nothing. In these terms, which are those considered by the original piece, there are not really any situations that I can think of that would suggest not pushing beyond mediocrity. I would add, however, that we don't stop looking with our eyes, we also see with our minds and emotions and we see through ideologies and within cultural moments. In the crosshairs of all those elements, we see things that aren't there on the photographs' surface. 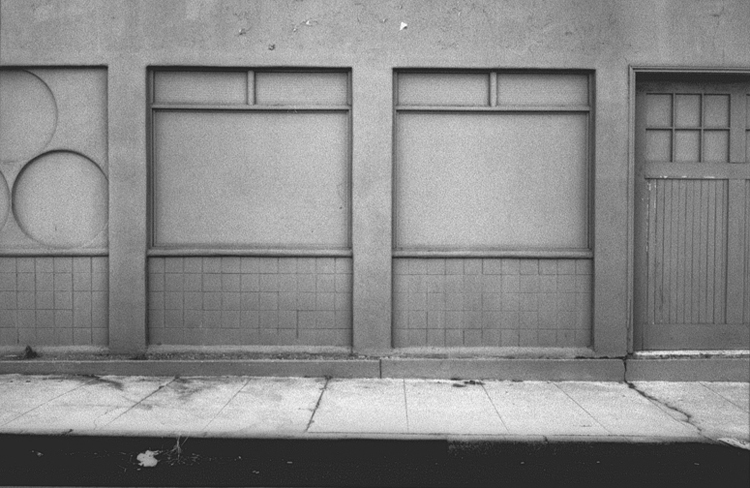 If we look at Joe Deal or Lewis Baltz, for two random examples, some might find the removed, black and white, straight ahead work mediocre based on their eyes. As photographs, one can argue that a good percentage of their work isn't spectacular, often falling into the category of work that inspires museum goers to say they could do that. If we also understand the history of landscape painting and photography, we can also "see" their radical departure from aesthetic history, we can feel excited by their move in the ongoing art chess game, by how they advance the conversation, by how they engage the work that came before it. What might seem like just a mediocre landscape or cityscape to someone unfamiliar with the background of the work itself and with art history, to others that are familiar the same work might seem aesthetically exciting because of how its formal qualities relate to the content it engages and to the context it exists in. They can appreciate how it subverts aesthetic assumptions and habits. While there's no reason to strive for the mediocre, it's worth remembering that we make a judgment of aesthetic quality with more than our eyes. The ideas, knowledge and experiences we bring to looking at an image can excite us and make us passionate about work that seemed at first glance - or to an uninformed viewer - mediocre, and we very well might change our mind about its aesthetic value the more we learn and grow as appreciators of art, as we find more ways to engage with photography other than with just our eyes, giving us a more complex relationship to aesthetics than simply a momentary assessment of form. "Mediocre" is an important word choice in this conversation and a good one; other words that might be casually considered a near synonym –boring or banal or bland, for example – would change the conversation a lot. What's the difference? "Mediocre" is a judgment of performance while "boring" and "banal" and "bland" are descriptions of the visual effect of an image. That's important to note, because mediocre is then a term we can use to assess how well a photograph is achieving what it wants to do, how well it executes its "proposal" and that of the project it belongs to, if it belongs to one. An image could try to engage the idea, for example, of boredom or banality or blandness in Soviet apartment block architecture by working with images that reflect those qualities in their aesthetic construction, yet only do a mediocre job of doing so. Maybe they're not boring enough! Maybe there's room to emphasize even more banality! Why make mediocre boring and banal and bland images when you could make great ones! Additionally, within a body of work, say a photobook, we almost always need what I'll call "lunch pail photographs." Putting together your best 50 images as a project won't work; there's always a need for images that aren't all-stars to bridge images in a sequence - they might set off the aesthetic spectacular-ness of the following image or help glue the theme together. I wouldn't go as far as saying that that allows for us to dip down into mediocrity, but there's definitely room for average photographs at times in service of the greater good of a body of work. The themes and ideas of our projects almost always call for aesthetic decisions that aren't just making the best damn aesthetic photograph we can make and selecting those to show. To add one more point, sometimes "good" photographs can generate heated debate because of their subject, and making visually alluring images might not be appropriate for a given situation, suggesting that perhaps "good" photographs are not always what the photographer should be shooting for (pun noted, and apologized for, but not retracted). Think of the issues eternally surrounding Sebastiao Salgado's work, for example, or Teju Cole's Steve McCurry take-down for examples of "great" formal photographs not matching, in the minds of some critics, subject, creating problematic content. One cultural context or moment will judge mediocrity different than another and we judge mediocrity differently based on context. Just as we ourselves have fluid understandings of aesthetics over our lives (Mom, turn off that gawdawful classical music! ), so do we as a culture. Ultimately art is a form of language, and sometimes we need to speak in ways that are subversive to the dominant aesthetic ideas, challenging, perhaps, where we draw the line around what is "mediocre." Think of William Eggleston as an example of how someone completely ruptured ideas of aesthetics by challenging common ideas of beauty inside of a particular cultural moment. 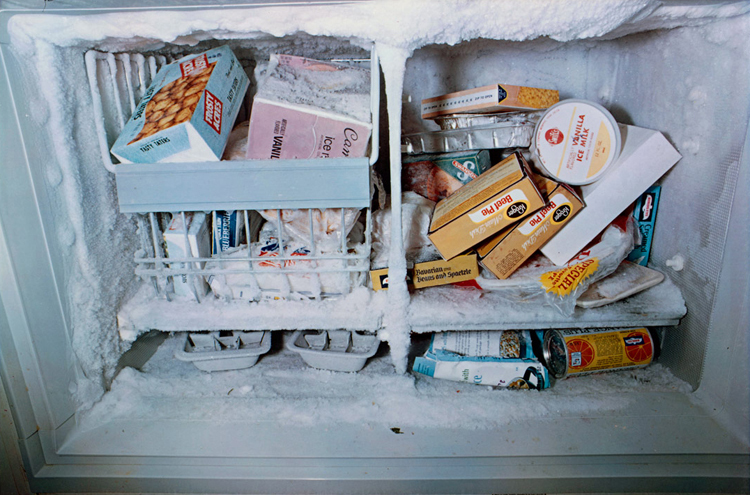 A photograph of the inside of a freezer! And in color! If you've seen a million pretty pictures, you might find beauty in photography that dares to usurp the aesthetics of "mediocre photographs" and posit it as high art. In a way, the entire snapshot movement in contemporary art photography was based in this concept, as well as many other "low culture" visual ideas brought into "high art" during the last several decades. To step away from the single-image conversation for a moment, I recently saw a slide show in which a curator showed a series of (I believe it was) six photographs by Marco Breuer. The first image in the series is a photograph of a piece of photographic paper that has been folded and reshot. Mediocrity defined. Then, however, over the series of photographs, we see that each print is the previous print, folded again and rephotographed and we see that the color shifts in a mysterious way during the process from blue to red (unfortunately I can't find the images online to share). That first mediocre image, in the context of the series, suddenly seems pregnant with what it will become, necessary, and next to the busier final images, its very simple construction seems restrained and elegant, not mediocre. In this way, mediocre is defined not only by the larger cultural moment, but also by the specifics of viewing time (through what will subsequently be seen in its sequence) and context (quiet after seeing the busier final images, for example). There's nothing wrong with "singles" or one iconic homerun photograph standing alone or just a really, really beautiful photograph. Photographic work, or any other artistic work, doesn't need to be presented as a series or project. For better and for worse, doing so helps galleries, museums, critics, historians and collectors talk about and build a narrative for the medium. Doing so also helps classrooms generate content to debate. It helps photography take itself seriously as art. There's obviously no rule, however, written about individual works of art being lesser or unacceptable for standing on their own. A little in defense of the project, though. If we can assume, after the above conversation, that photographs that we put into the professional art-documentary-photojournalism arenas should be something more than "mediocre" visually, that leaves us with both single images and images as part of projects all being at least pretty good. I would argue, then, that photography is at its strongest and most interesting when presented in series or project because not only does it offer us images to enjoy individually, it also offers us much more. 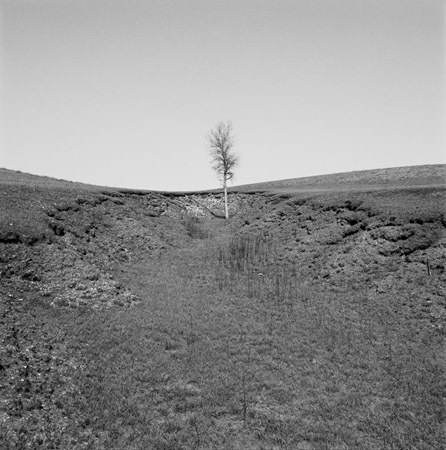 It gives us the ideas formed between photographs, ideas of narrative or argument through sequence. It gives us images that pop visually and philosophically next to each other. We can appreciate the graceful decisions across the edit, sequencing and layout of a photobook or installation. In short, a good image can be enjoyable to look at, but a well-done project ultimately gives us much more nutrition by risking much more and engaging much more while still being made up of solid photographs. When a photographer can successfully juggle all of the many dynamics created by bringing so many variables together, the impact, in my experience, is always much more profound than I find sitting with a single image. Ultimately it's the "anyone can make a good photograph" argument. That's true, just as anyone can write a great line of poetry. My wife, who is a pianist, has taken some shots that enrage me with jealousy. Incredibly few, however, can put together photographs into a project that unites technique, form, subject, content and context in a way that's cohesive, fresh and that carves out its own place in the current photography conversation, just as none of us can turn our line of poetry into a book of Neruda-quality poems. It's just an infinitely more complex and interesting game. Aesthetic understanding is, in essence, relative. While mediocrity isn't a goal to strive for, how we understand and define mediocre photography in formal terms is fluid as we change physical context and as time passes, it is affected by our biases and knowledge as much as by what our eyes physically see. This relativity exists not just on a personal level, but also a cultural one. There are moments when content calls for backing away from creating our best photographs according to traditional paradigms of beauty and photography, from my perspective, reaches its height of power in concert, that is to say, in the series and project, and average photographs can help such a body of work come together. So don't erase those "mediocre" images from your Lightroom catalog. You'll see them differently in five years. The mediocre photographs of one situation are not those of the next. And even if they've only risen from mediocre to average in your subsequent assessment, building your best work may just call on you to use some of your most average shots.